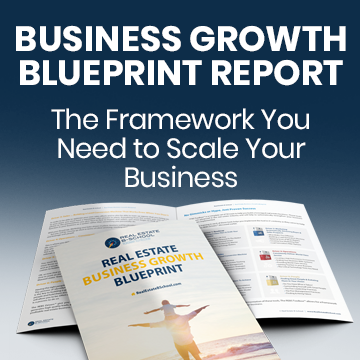 When chaos reigns in your real estate business, it’s almost impossible to scale. Here’s how Stacie replaced chaos with structure to build an amazing business. I work with a lot of real estate professionals who really know their stuff when it comes to buying and selling homes. However, they struggle to effectively manage the business side of things. They may have some ad hoc processes that work for them. But they struggle to build out systems to grow beyond themselves. That leads to frustration and chaos. The team leader has to keep putting out fires while constantly chasing leads and working with clients. Their families and teams all suffer because of this chaos. The good news is that running a successful real estate business doesn’t require chaotic leadership. Instead, making the right changes and implementing them well can help you to build a strong sustainable business. I’m going to share a couple of tips on how to build structure out of chaos. But first, let’s look at a story from a client who went through it. Stacie Peterson is a mom of two amazing children whom she adores. Her husband is a patient and loving man who’s always supported her efforts in business. Yet Stacie found that her work stretched his patience many times. Stacie became a real estate agent for a simple reason – she wanted to see her face on a billboard (yes, really!). And it all started well. But as she built her business, chaos started to take over. The business wasn’t systemized, which meant her team struggled without her. She didn’t have a mentor to guide her and she felt like she made herself available to everyone but her own family. That caused serious tension at home. Stacie wanted to run her business while maintaining her family, faith, fitness ..and fun! She came to Real Estate B-School to help her do it. Stacie faced challenges on both the personal and professional level when she came to me. Right off the bat, I could see how overwhelmed she felt. She met every question I asked with a heavy sigh before giving an answer. The weight of running her own business was starting to wear on her. On a professional level, she struggled to leverage her own knowledge. Stacie had been a successful agent for years before starting her team. She knew what worked for her but she struggled to build a system out of all of that knowledge. This created a chaotic leadership and management structure. Stacie almost battled with her team at times instead of helping them to develop and grow. On a personal level, the problem was simple. She wasn’t fulfilling the promises that she made to her family. Stacie lost count of the number of times that she broke promises to her family. For example, she’d tell them if she worked late during the week then she could be free on the weekend. When the weekend came, she’d barely be able to separate herself from her phone. That failure to fulfill her promises started to wear on her family life. She needed to solve the business’ problems so that she could once again dedicate herself to her husband and children. I identified the family issues as the key priority for Stacie. All of the work on her business would be for naught if she wasn’t able to resolve the problems at home. Together, we drew up an agreement that detailed the promises that Stacie would aim to keep to her family. She signed it, along with her husband, and finally set some ground rules for the business. This was a crucial step for Stacie. It helped her to realize the damage her business had caused to her family unit up until this point. With that agreement in place, we started working on making the business improvements that would help her to meet her new obligations. Firstly, we focused on turning Stacie into a better manager and leader. That meant getting out of the production side of the business and into operations. We helped Stacie develop solid systems and processes for her people to follow. They no longer had to try to do things using the systems that Stacie developed during her time in sales. By stepping away from production, Stacie could take a better look at the business and create systems that served it. This focus on operations also brought a calm to the business. The chaos that reigned before went away. Stacie focused more on how she could help her people to develop so they could accomplish the tasks she set for them. The key result for Stacie is that she learned that there’s more than one way to define success. In traditional real estate business, success always boils down to the number of homes you sell and the money you make. It doesn’t matter how little time you’re spending on yourself and your family. As long as you’re selling and earning, you’re “successful”. After working with Real Estate B-School, Stacie realized that isn’t the case. She now has multiple success touchpoints beyond the money she earns. Stacie also managed to exit the production side of the business within six months of working with us. She tripled the size of her business selling close to 300 homes in a single year … and she was working less than 40 hours per week. Stacie was ultimately able to sell her business with a 7-Figure valuation, which had never happened before in her market. Perhaps most importantly, Stacie now fulfills her promises to her family. She doesn’t need a contract anymore. She’s built a sustainable business that gives her freedom and a happier life. Stacie ran into problems that many real estate professionals hit when they start a team. She lost control of her time, which caused problems with her family. You may feel like your business needs a drastic overhaul to start performing how you want it to. But if you do that, you can end up feeling like you’re doing 15 things at once. You end up feeling overwhelmed all over again. Plus, your team may struggle to make all of the changes that you’re trying to implement. Business transformation is often a gradual process. Implement one or two new processes and get them working well. Then, move onto the next set of processes you want to put in place. 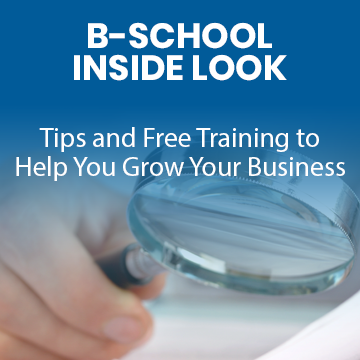 Over time, you’ll develop a systematic business that can run without you. And you’ll do it without piling more stress onto your own shoulders. Stacie says it’s the little 2% movements that lay the foundation for the business that you want to build. Stacie admits that she’s not a natural “tracker”. As a result, she didn’t have processes in place to keep track of her business’ leading and lagging indicators. This only added to the chaotic nature of the business as she essentially had to guess about what was working and what was not. 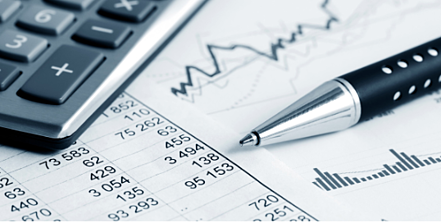 With a business tracking system in pace, she took the guesswork out of the business. Stacie replaced those guesses with strong data that showed her exactly what happened to her money. With that knowledge, she no longer just tried to solve problems by throwing money or people at them. She already knew how to sell homes. With tracking, she learned how to operate a business that sells homes. A lot of real estate agents fear hiring even a part-time administrator. Stacie already had a small team when she came to me. But she identified hiring as one of the most difficult parts of running her business. That’s natural. Making the wrong hiring decisions costs you more time and money. If that happens a few times, you may end up deciding to do it all yourself instead. That’s what leads to so many business owners getting consumed by their work. Stacie again says that it’s all about starting slow. You don’t need an amazing operations manager who can do it all right out of the gate. Instead, she says to focus on finding people who are great at all of the things that you’re not great at. In her case, that meant getting people who could handle all of the details of the transactions the business made. Someone to cross the T’s, dot the I’s, and handle follow-up client calls and touch points. Stacie managed to transform a chaotic business into a saleable one. Implementing tracking helped her to figure out where her money went. This meant that she could chart a course for the business and keep her people on the right track. She recommends starting slow. Transformation takes time and is often about the little incremental changes you make along the way. Real Estate B-School can help you to make those transformations. PLUS: Whenever you're ready ... here are 4 ways I can help you scale YOUR real estate business and achieve true time and money freedom. 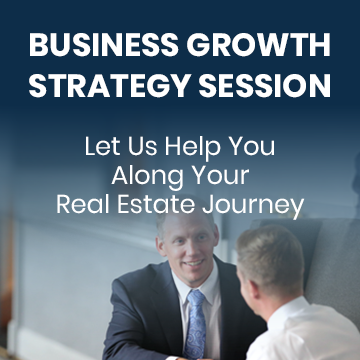 If you'd like to get on the fast track and find out what you can do right now to scale your real estate business ... schedule a FREE Business Growth Strategy Session, Click here. This 15 page report will give you the framework and step-by-step process I used to go from $0 to consistently selling over $3m per year in gross commissions working 1 day per week. Reading this report could be the most important thing you do in your real estate career, Click here. My favorite thing to do is talk with other successful team leaders about the good, bad and ugly of their real estate businesses. 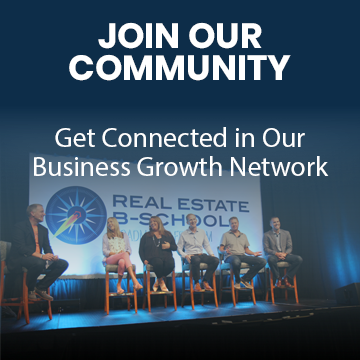 To join the conversation and connect with other Top Producing Agents and Team Leaders, Click here. Want Instant Access? 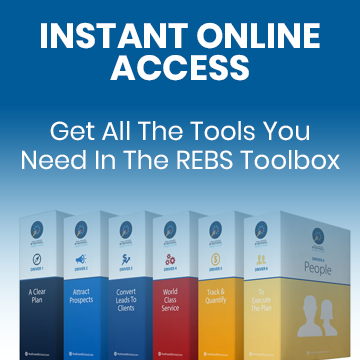 The Toolbox contains 30 tools with more than 170+ training videos and over 300 documents and templates that target the 6 key drivers necessary to scale your real estate business. To fully swipe and deploy all of my my tools and systems, Click here.